2010 was a bumper year for Australian cinema. Yet no Australian film performed as consistently and as spectacularly as “The Lost Thing”, winning over both audiences and juries worldwide. This 15 minute animated gem was the winner of the Annecy Cristal (France), the Yoram Gross Award (Sydney Film Festival), the Grand Prix at the Melbourne International Film Festival, Best Australian Short at Flickerfest, the IF Award and the AFI Award (as well as countless other international prizes). In February 2011, “The Lost Thing” won the Oscar® for Best Animated Short. In this exclusive performance composer Michael Yezerski (see below) and friends will perform his original score live to picture. The music has been re-imagined and re-arranged for this very special premiere event. 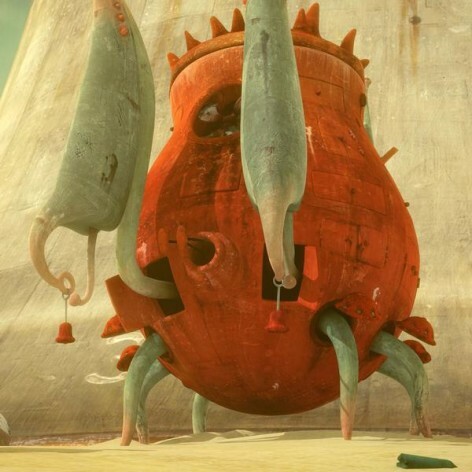 Experience Shaun Tan and Andrew Ruheman’s masterpiece in a whole new way. With thanks to Sophie Byrne and Passion Pictures Australia.